Helena Hess was originally attracted to Belize for its diving. She wasn’t even thinking about retirement when she made her first visit to the country. But, the better she got to know Belize, the more she came to appreciate the advantages it offers the would-be retiree. Helena and her husband Mike bought a piece of land on Ambergris Caye, built a home, and, eventually, looked seriously at Belize’s residency options, including its resident-retiree program. Their conclusion? Belize is hard to beat, not only for the Caribbean lifestyle it offers on its cayes, but also for how easy it makes it for a foreign retiree to make Belize home. And a Qualified Retired Person (QRP) can be as young as 45 years of age. Today, Helena and Mike live full time in Belize. Mike’s a full-time resident; Helena’s a QRP. They made their decisions as to which residency option they wanted to pursue independently and, as a result, have been able to take full advantage of the residency benefits Belize has to offer. Because they’re Americans, they retain a tax obligation stateside, of course. However, because they’re Americans abroad, residing full time in Belize, they can earn up to US$202,600 of income each year that is U.S. tax-free. And, Helena is not liable for taxes in Belize either, since she’s a QRP. its QRP program is one of the most efficient residency programs in the Americas today. You can obtain your residency permit within a few months. You can qualify from as young as 45 years of age. And, you don’t have to live full time here to take advantage. 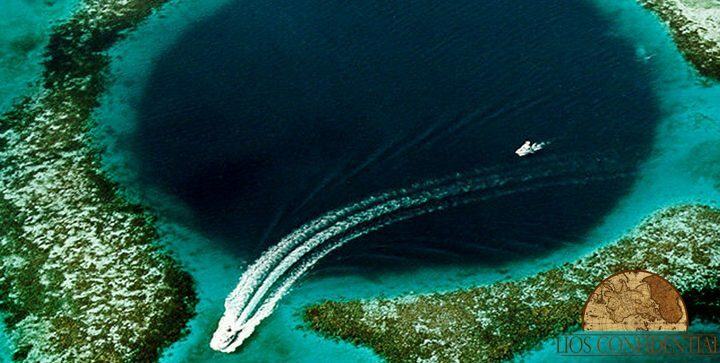 Among our top havens, Belize is one of the best right now—still offering affordable opportunities in one of the safest havens in the Americas. So it’s no surprise that we have two Belize-based events coming up in the next few months. If you’d love the chance to live off your own land… be part of a community that supports each other… continue to enjoy the comforts of the modern era (like a hot tub, air conditioning, high-speed Internet)… and be in a stunning location surrounded by lush jungle, rivers, and gushing waterfalls… then there’s still time to join us for this unique event in November where we’ll introduce you to the wonders of the Cayo Region and the experts who can show you how to bring some self-sufficiency into your life (whether you simply want to grow a few vegetables for your own table or you’d like to be as independent as possible). And, last week, we officially opened up registration to our eighth Live and Invest in Belize Conference, taking place Jan. 18–20, 2017. We’ll cover some self-sufficiency opportunities at this event, too. But if you’d like to explore all your living options in this diverse little haven, then this event, based in Belize City, is not to be missed. What would life really be like here on Ambergris Caye… on the mainland coast… or in mountainous Cayo? Best of all, you’ll get to connect with the people who can help with your move—and, importantly, help you figure out the most cost-effective way to set yourself up. Helena and Mike, who I mentioned earlier, opted for two different paths to residency. In doing so, they’ve managed to minimize their taxes so they can keep more of their earnings and enjoy a better life on Ambergris Caye. But they couldn’t have figured this out without the right advice. No matter your situation, our experts will have the answers and be happy to help you… and take all the hard work away. All you need to do is make the decision to join us. Posted in Live And Invest Overseas Confidential and tagged adventure destination, why belize.